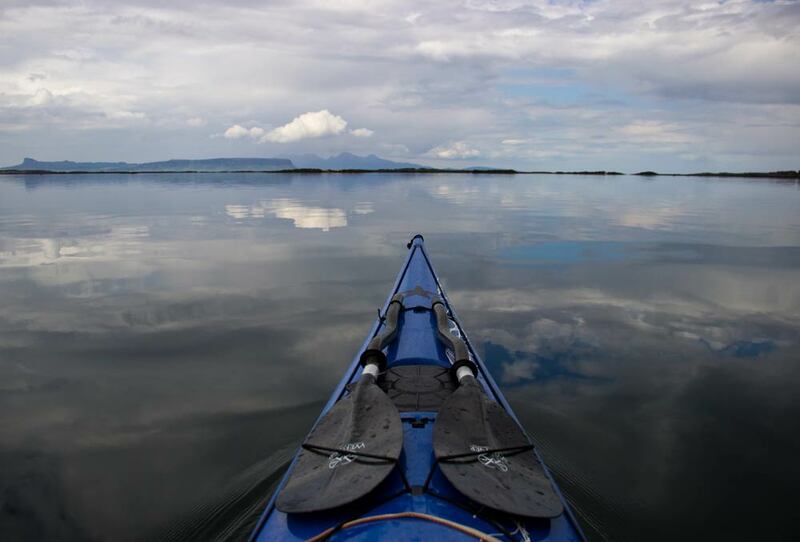 Sea kayaking around Arisaig, the Sound of Arisaig, Glenuig and Loch Ailort. 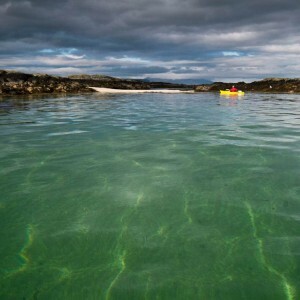 Arisaig is the jewel in the crown on the West coast; one of Scotland's best places for sea kayaking. 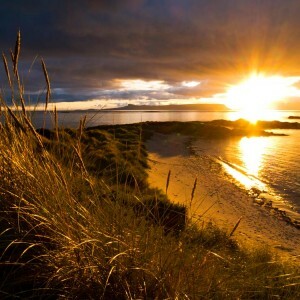 The variety, beauty and accessibility of the coastline around Arisaig are what makes the area unique. 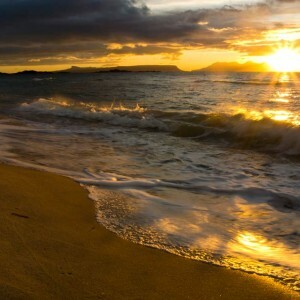 White sand beaches and stunning sunsets are a hallmark of the area and can be found throughout Arisaig and in the sound of Arisaig, Loch Ailort, Glenuig and Morar. 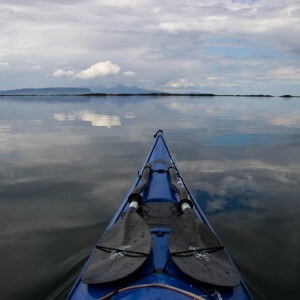 There are a huge variety of sea kayak trip options on offer; from day trips around the Skerries or Loch Ailort to multi day expeditions exploring the Sound of Arisaig. 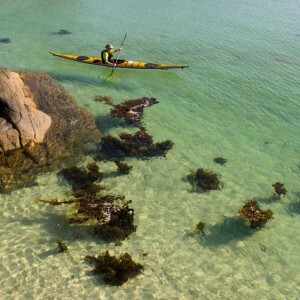 Its also a great location to learn to sea kayak - the many different aspects of coastline means that appropriate conditions can be found for all abilities. 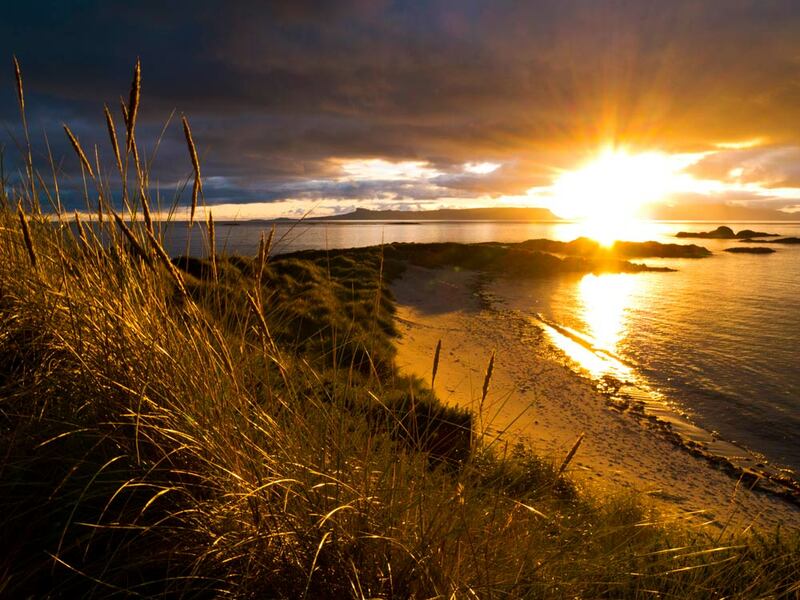 There is a good variety of accommodation and services in the area making Arisaig a good place to explore on day trips from a base. Its links with Fort William and Skye (via the ferry) make it an easy destination to get to for a day trip or a short break. Common Seals are very numerous around Arisaig and are one of the highlights of the area. 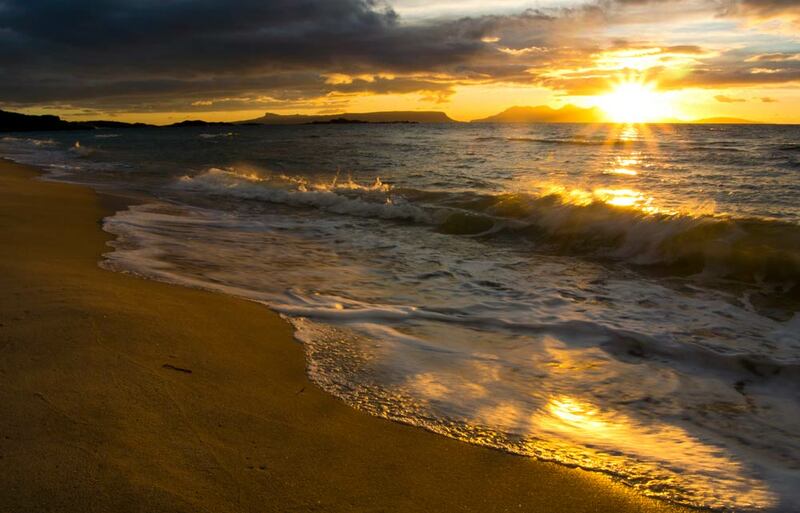 They can be seen at the Arisaig Skerries where they have their pups in the early summer. Care has to be taken not to disturb the seals. Otters also live in the area but are much harder to spot. However we do sometimes see them on trips. 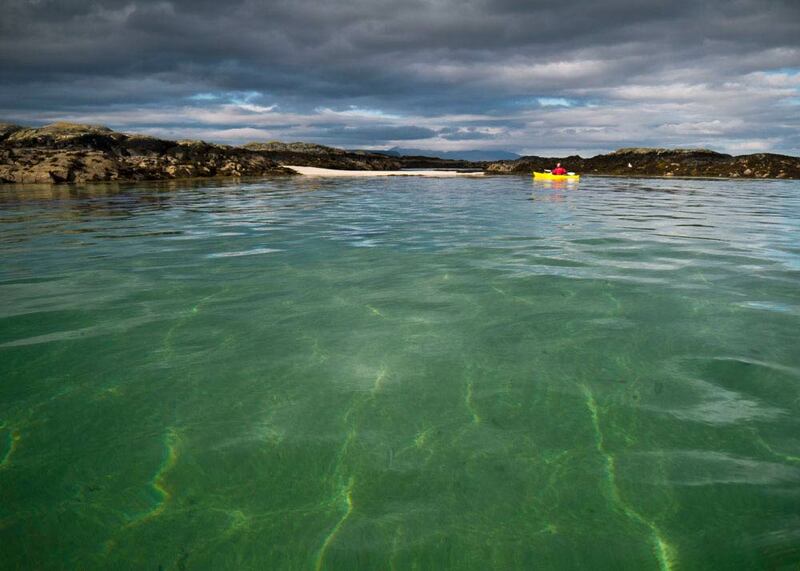 Porpoises can be seen around Arisaig.  White Tailed Eagles can be seen in the Sound of Arisaig. 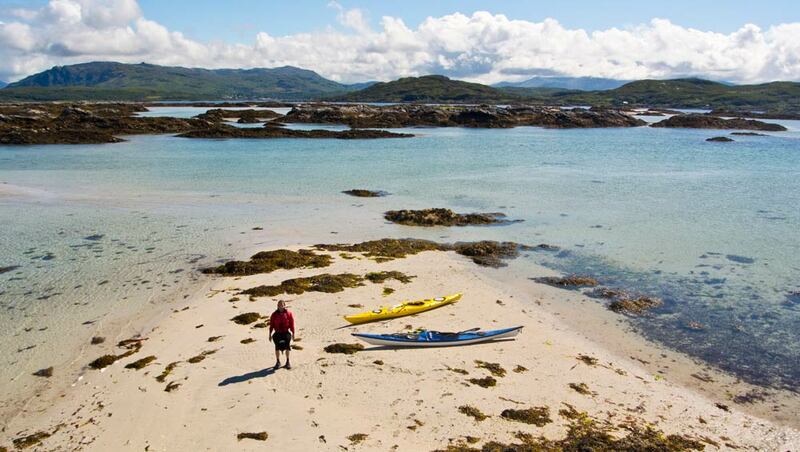 This trip explores the Arisaig Skerries - a group of small islands at the entrance to Loch Nan Ceall (Arisaig Bay). 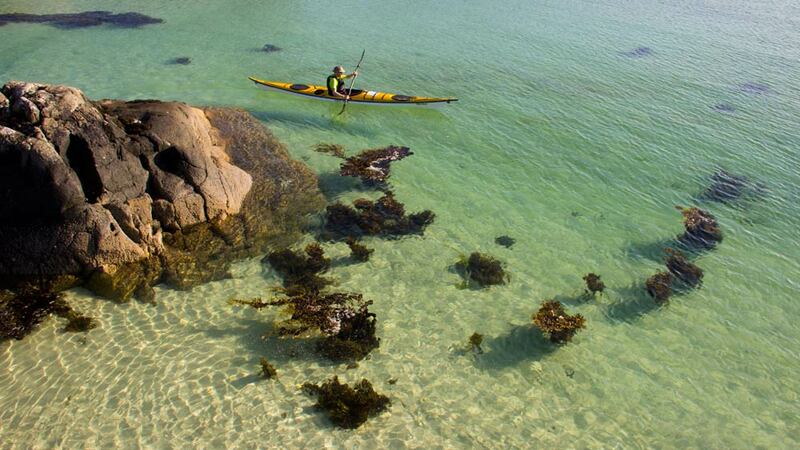 The area is perfect for a family sea kayak trip or a guided sea kayak day trip. 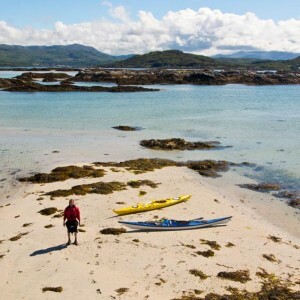 The Arisaig Skerries have been described as Scotland's Caribbean - beautiful white sand islands combine with shallow water and a favourable micro climate to produce an amazing sea kayaking area. The Skerries are home to hundreds of Common Seals and many seabirds nesting on the small islands. The ebbing and flooding tide changes the area dramatically and its never really the same twice - an area you can explore countless times. 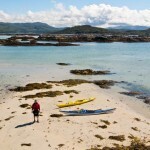 The area is easily accessible from Arisaig village but does have some tidal streams and rough water is always a possibility.